LDO regulator ICs from Toshiba are available in a small package and are suited to a variety of mobile devices that require extended battery lives and high-density board assembly, including wearable devices, smartphones, tablet PCs and portable games. 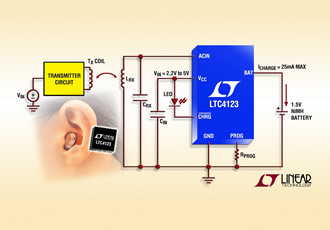 The 200mA output TCR2LN/LE/LF series features ultra-low quiescent bias current and low dropout voltage. They are available in fixed output voltages between 0.8 and 3.6V and feature over-current protection and an auto-discharge option. Using a fine analogue IC process for advanced CMOS, they realise low bias current characteristics by reducing the bias current to 2µA (max) in comparison to the existing TCR2EN series. The ICs are available now, in small SDFN4 (0.8 x 0.8 x 0.38mm) and general purpose SOT-553 and SOT-25 packages.